Befani, B., and O’Donnell, M. 2016. Choosing appropriate evaluation methods tool. London: Bond. Retrieved from https://www.bond.org.uk/resources/evaluation-methods-tool. Accessed 20 Feb 2019. Befani, B. 2016. 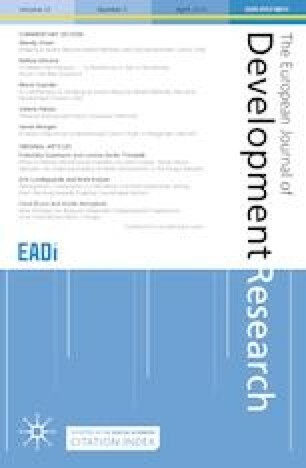 Pathways to change: Evaluating development interventions with Qualitative Comparative Analysis (QCA). Pathways to Change: Evaluating Development Interventions with QCA, report of Expertgruppen för Biståndsanalys (EBA). Retrieved from http://eba.se/wp-content/uploads/2016/07/QCA_BarbaraBefani-201605.pdf. Accessed 20 Feb 2019. OECD-DAC. 2002. Glossary of key terms in evaluation and results based management. Paris. Retrieved from http://www.oecd.org/dataoecd/29/21/2754804.pdf. Stern, E., Stame, N., Mayne, J., Forss, K., Davies, R., and Befani, B. 2012. Broadening the range of designs and methods for impact evaluations. Department for International Development, (February 2011), 1–127. Retrieved from http://www.dfid.gov.uk/Documents/publications1/design-method-impact-eval.pdf. Accessed 20 Feb 2019. Wildavsky, A. 1987. Speaking truth to power: Art and craft of policy analysis. London: Routledge. Retrieved from https://www.taylorfrancis.com/books/9781351488471.